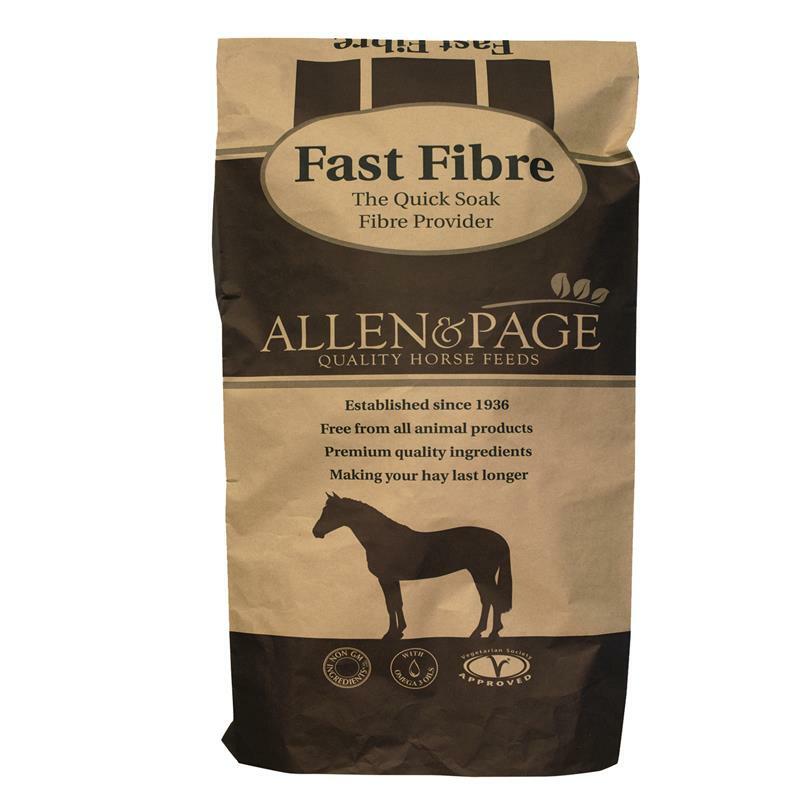 Allen & Page Fast Fibre - 20kg. Fast Fibre® is ideal for the good doer or for horses who tend to be excitable even on low energy feeds. This feed is particularly useful for horses with dental problems, as it can be used as a partial or complete hay replacer if necessary. It is also suitable for horses and ponies prone to laminitis. Fast Fibre® features a unique recipe which enables it to soak in under a minute, so you can be sure that your horse's feed is always fresh. This feed contains premium quality ingredients and free from all animal products.